So now that I've got to decide which rear suspension to use (3 or 4 link) next is the V8. All conventional wisdom would say i have no choice but to cut the firewall. I'm not saying I can get around it, but why not entertain the thought. The dimensions are as pictured below. Sure width isn't to big of an issue. 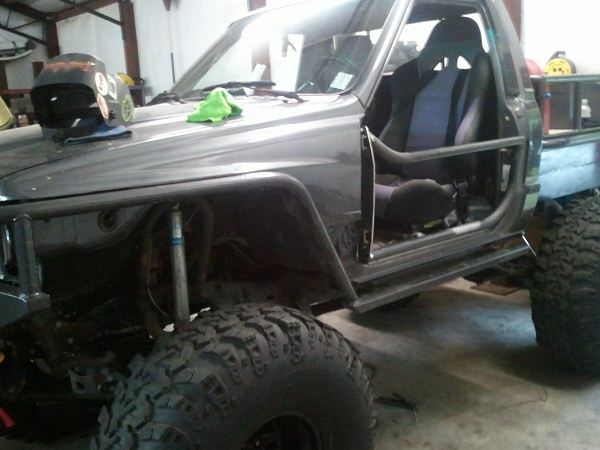 I may have to get creative with the steering linkage. The real issue is length with the condenser, radiator and engine. If I can get it squeezed in without cutting up the firewall that would be some kind of sweet. I undertsand that a pusher fan isn't optimal. But if I put a pusher right against the grill and set my condenser / radiator combo right against the hood latch i think its possible. What do you guys think? You do have that 29" to play with. Keep in mind the bigger issue is transmission size and the amount of room you'll lose at the pedals - foot room. 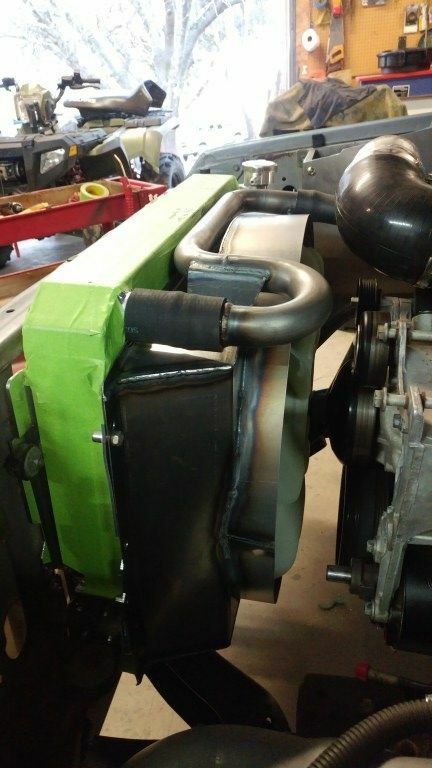 The radiator can easily be mounted forward of the flange its currently mounted on instead of behind it. In fact, you can run ducting through the radiator from the lower valance. 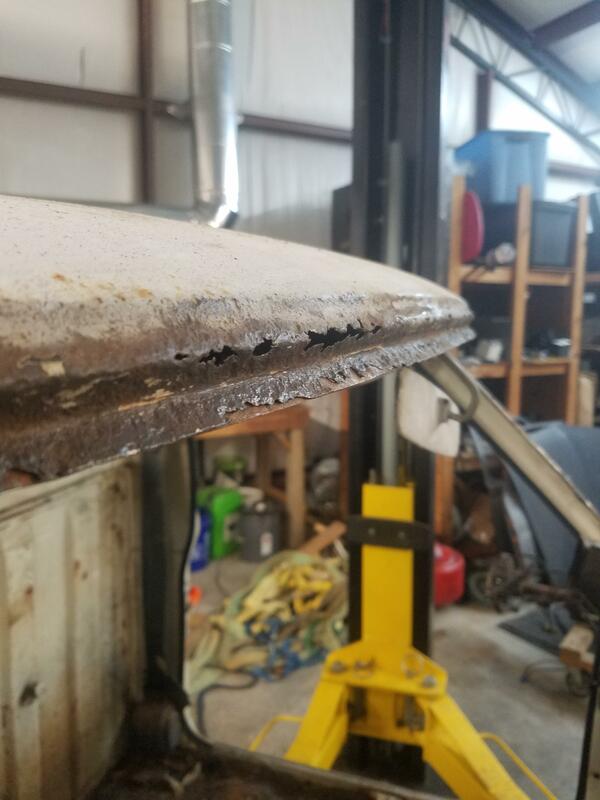 My floor pan is SHOT. 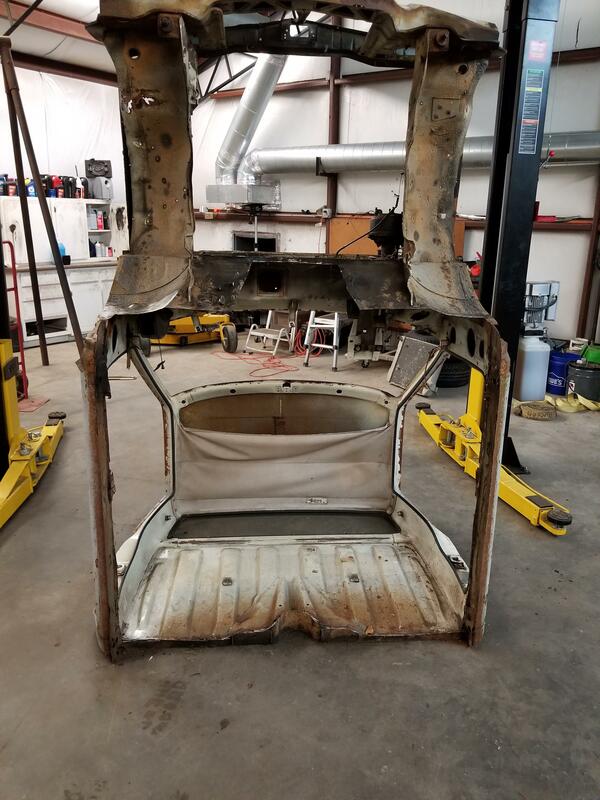 I am taking the floor pan out of the 99' Camaro to replace the 620. That will get the tunnel right. I just didn't want to cut out for heads and all if I didn't have to. I measured the seat to seat width on the Camaro and it fits. 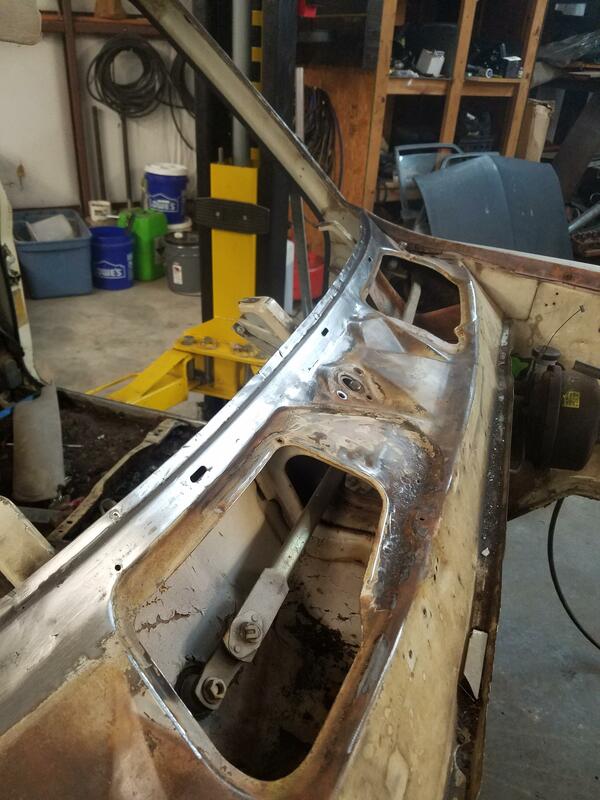 I have rust in all for corners and the foot section is all daylight. All conventional wisdom would say i have no choice but to cut the firewall. If I can get it squeezed in without cutting up the firewall that would be some kind of sweet. I went out to the shop yesterday and took some measurements on a truck I'm building right now, and 29" to the rad support might be plenty. The passenger side head sits further back than the driver side, so even if you had to cut into the firewall, you'll be able to do it in such a way as to keep driver leg room at the throttle pedal at a maximum. I don't think you'll need to cut though. With a custom radiator stuffed neatly under the radiator support (and a lot of tin work) you should be able to get the radiator with a couple fans up there. Pushers are not the best so maybe try to start off the design process with two puller fans in mind and see what you can come up with. Also remember that there are different accessory drive setups (OEM car, OEM truck, aftermarket, etc) that allow you some flexibility. The Corvette accessory drives are shorter than others so think about that too. Here's a couple pics of one I'm working on right now. 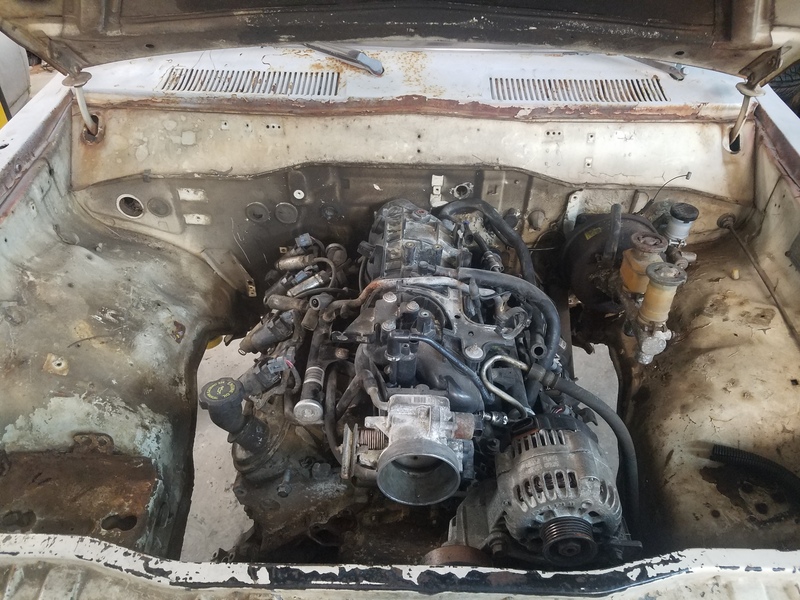 You see how much junk there is on the front of the motor. The throttle body and intake tube are huge. 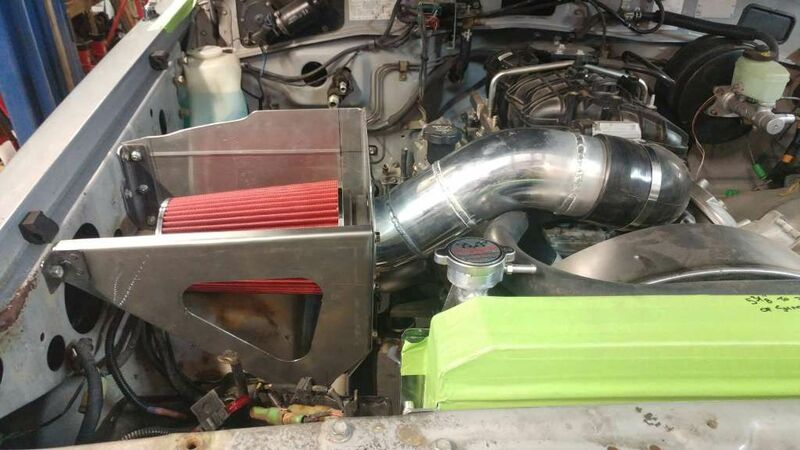 The upper radiator hose gets pretty cramped. and then the fan, but I am using a traditional clutch fan. That's some good-looking work. I agree with the double pullers. Hopefully it wkll all squeeze in. That was my plan as well. I will probably have the radiator right against the grille. Being stuck away from home working for the next two weeks is tough Enough away from the family. Then adding this project and I about lose my mind. 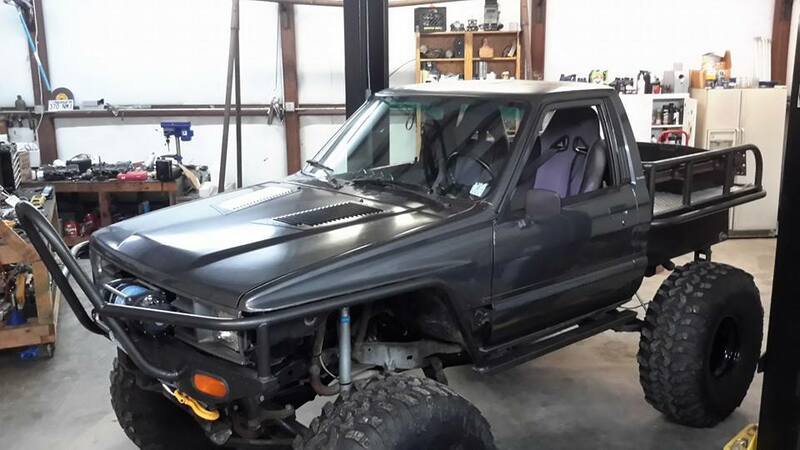 I have got to ask though is that a Toyota 4x4 that you are working on. I wonder if the standard Scirocco radiator would work. 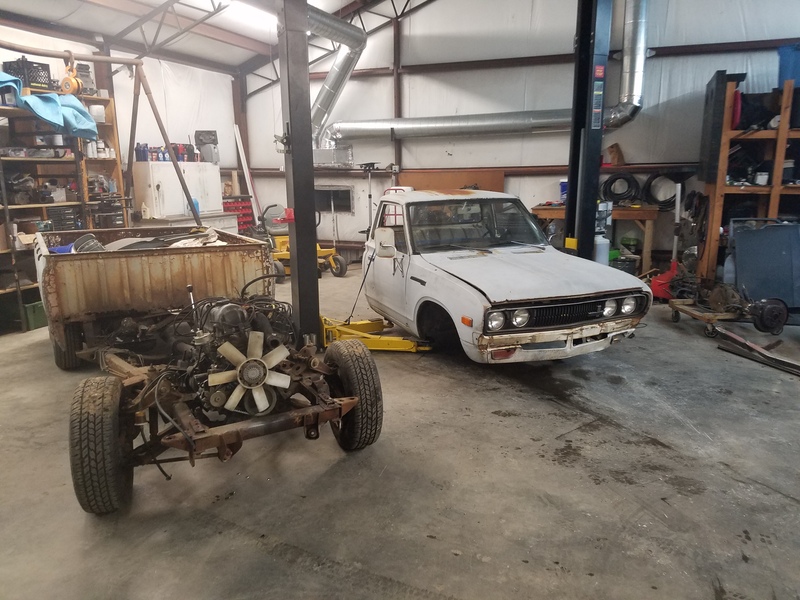 Yes, that's a Toyota FJ62. I do a lot of off-road rigs. Go to Expedition Portal to see some of my build threads. Man that is a whole lot of spotlight. I have had a few features but not near that much. My Toyota started the entire obsession I still have now. It was wrecked when I was 19 and the frame was bent. 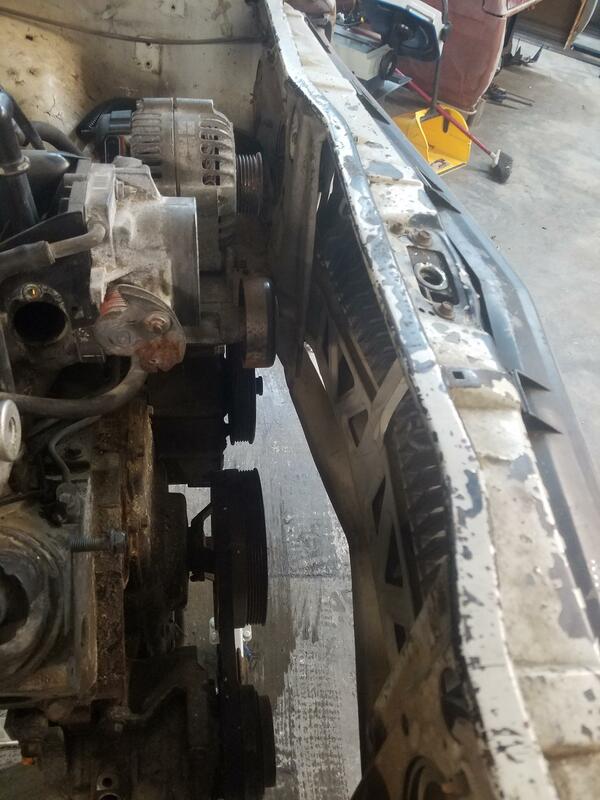 I was broke and I needed a hunting truck so we cut the bent piece out. 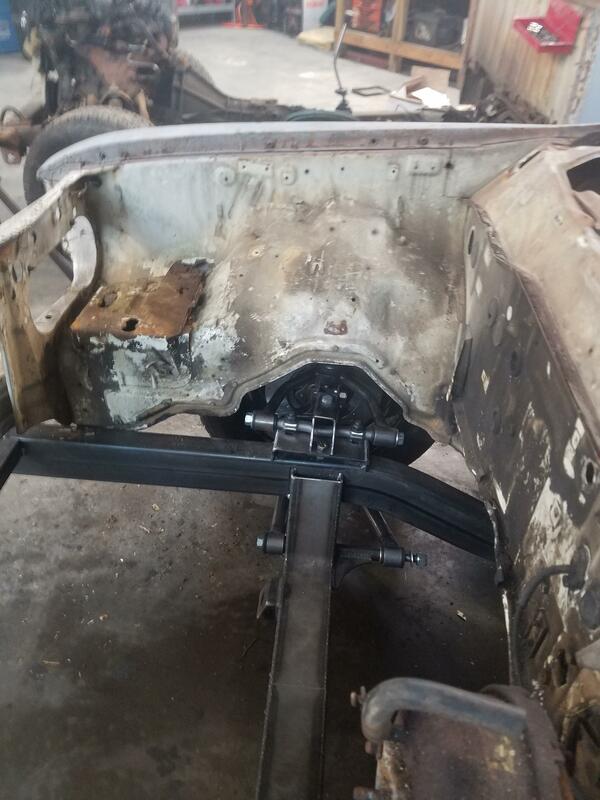 We cut 24.5" out and mated the rear driveshaft right up to the transmission. 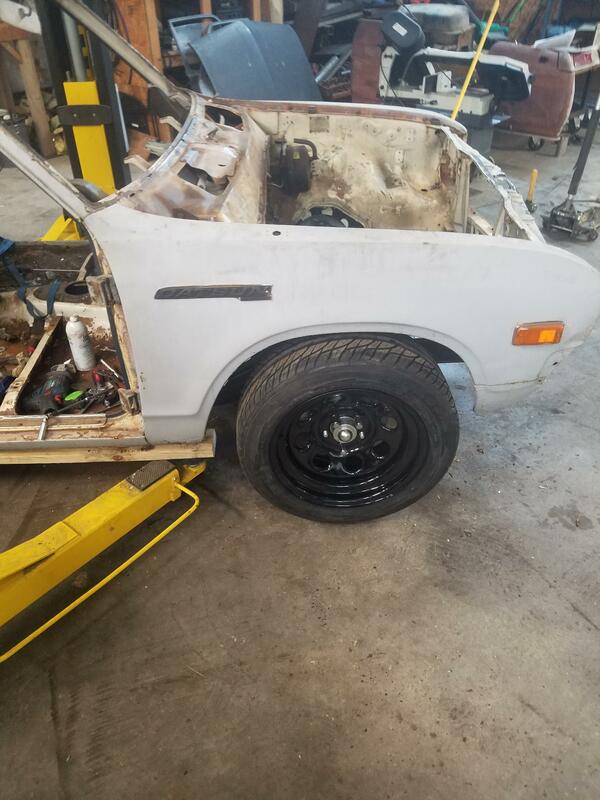 So sits the wheelbase now. Its got a CSB with FAST EFI, SM465 and a Twin stick 205. Yes, I have been fortunate to have so much press. Neat looking Mini Truck! A V8 with a short wheelbase ought to be a handful! 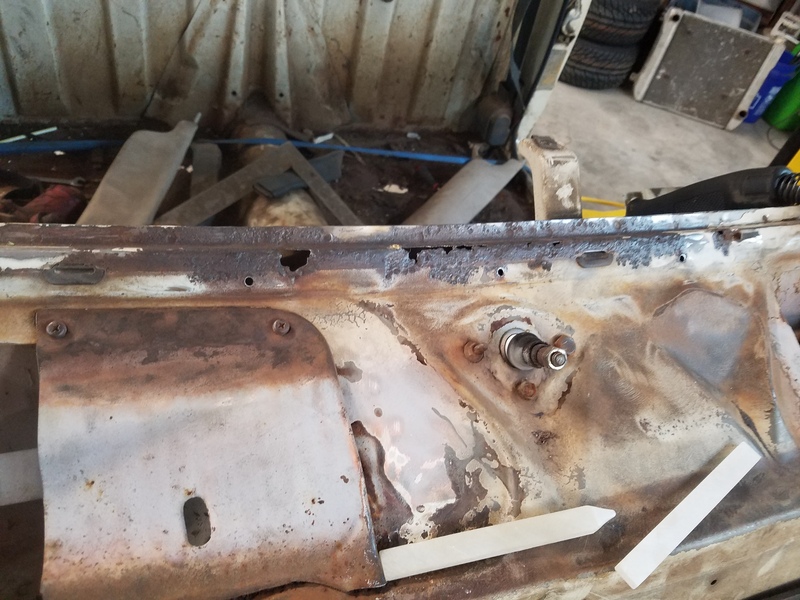 If you do decide to run the Corvette accessory drive setup, you may run into fender well fitment issues, but there are relocation kits for most of the items on the front of the motor. Hell, I think there's even an electric water pump, if that becomes a problem. 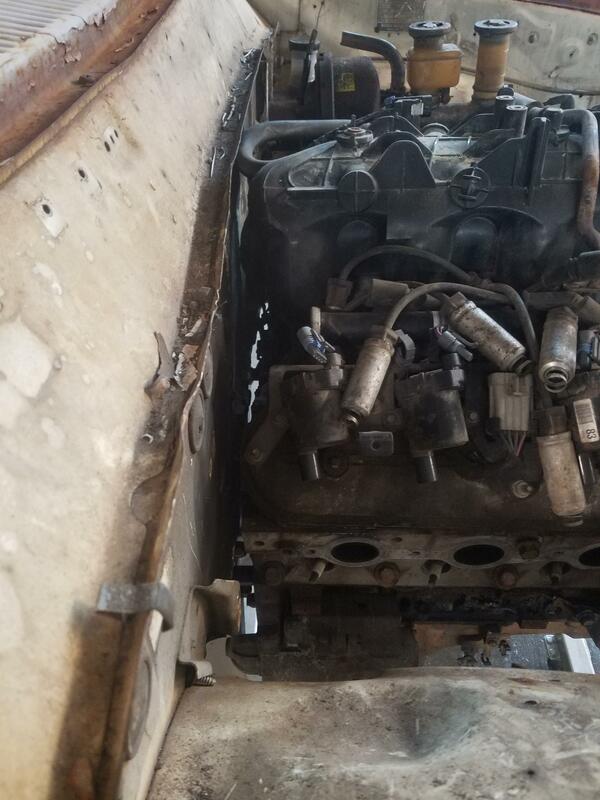 The exhaust manifolds may be another problem, but I imagine you're going to use headers. The best headers I have found are from Advance Adapters. They are a tight block hugger style, but have thicker flanges and tubing than the competitors and they are only about $250 for the pair. I get them coated after all the mods are done and so far, I haven't had a problem. I haven't posted in a while so it's about time to post some pictures. I just got back in about a week ago and had a day couple of days to play around on it. Got my cab pulled off. Test fitted the frame to make sure the radius cleared. Looks great!!! 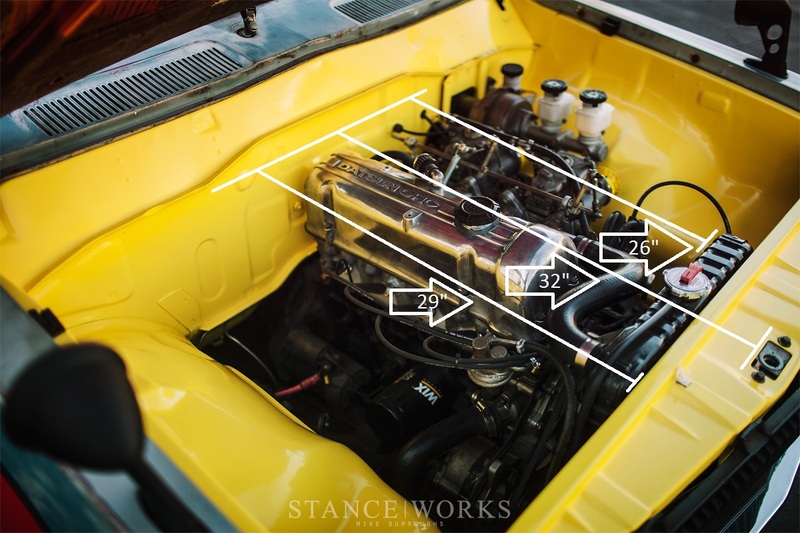 I lowered my body down on the engine just to check some clearances. It's tight! 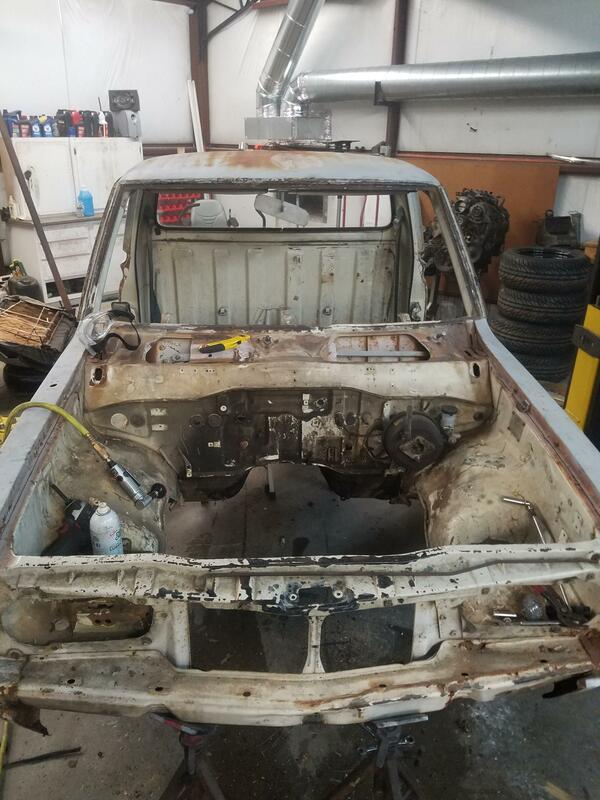 When I removed the windshield we found a lot of rot. So I started on the repairs today. I got the lower frame winshield frame done. I'll start on the top in the morning. Look at you go. Great work. 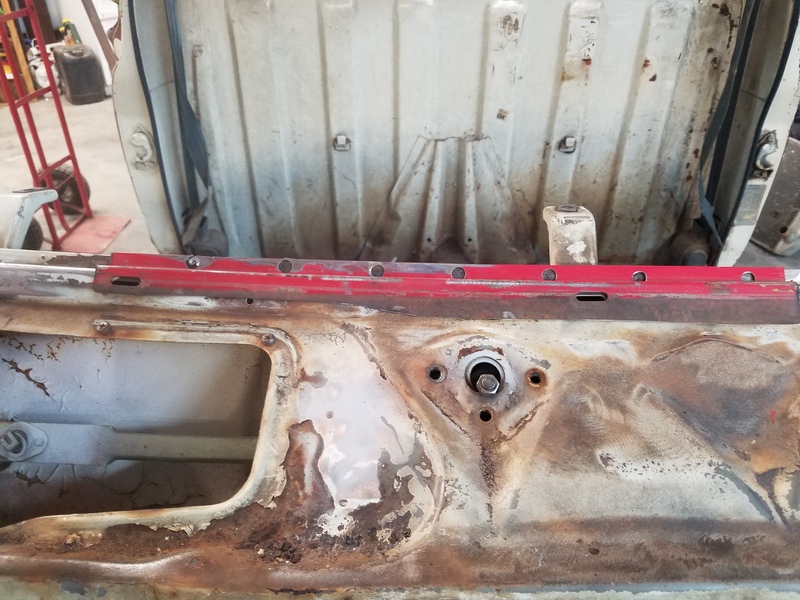 Rust repair is one of those jobs that I love to do, but hate billing for. I bet dablist is even willing to not let you charge him so you don't even have to do that part you hate! It has taken about 15 years to get the equipment i have now. That being said I never feel like I have enough. I want a Drill/Mill combo from Grizzly next. I absolutely loath it. 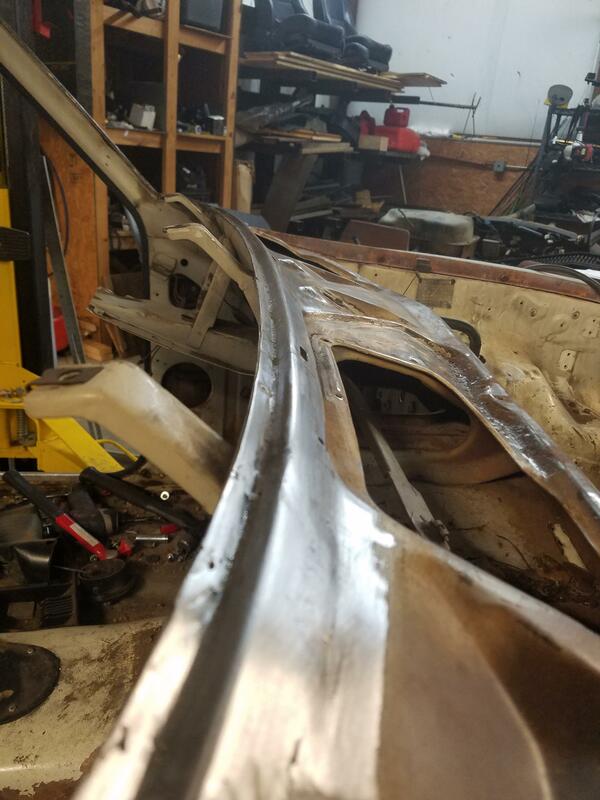 I would rather cut my frame apart and reweld it a 100 times than do sheet metal work. The stuff here isn't that bad. 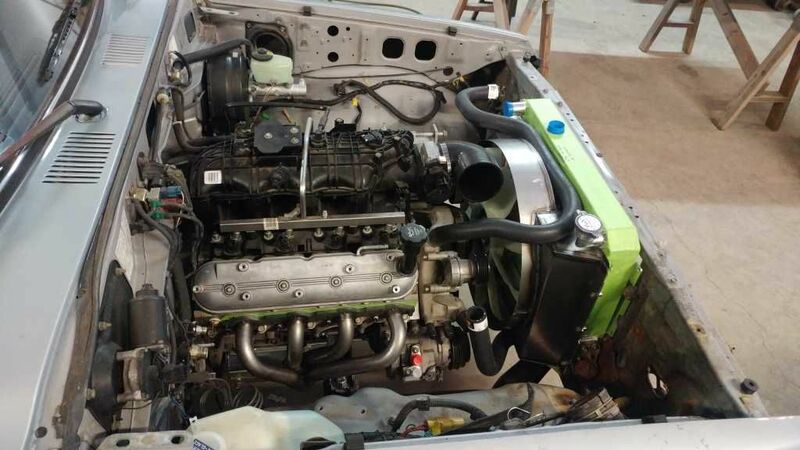 It's the parts you can see that makes me nervous. Sorry to say that I will pass. You don't want to miss out on the fun! I don't have that kind of luck. 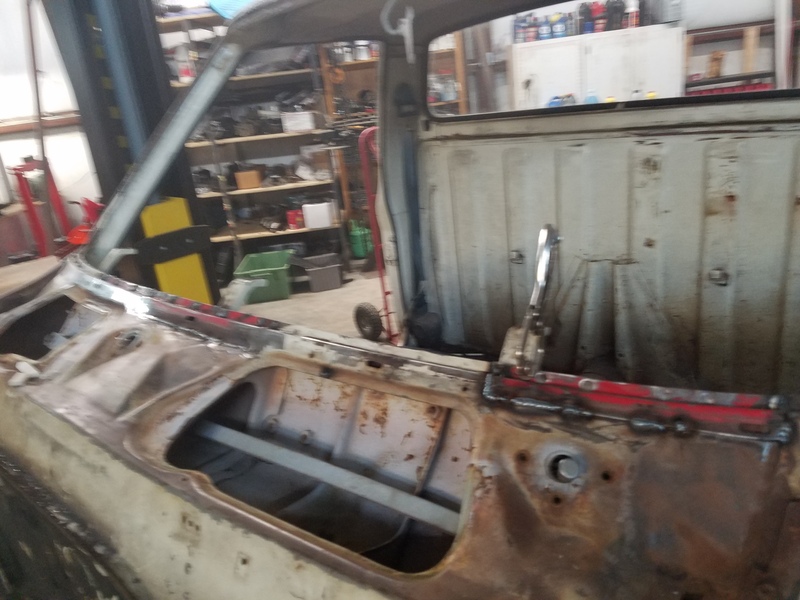 After I finished the windshield frame I moved on to the floor pan. Removed the fenders and went at it. 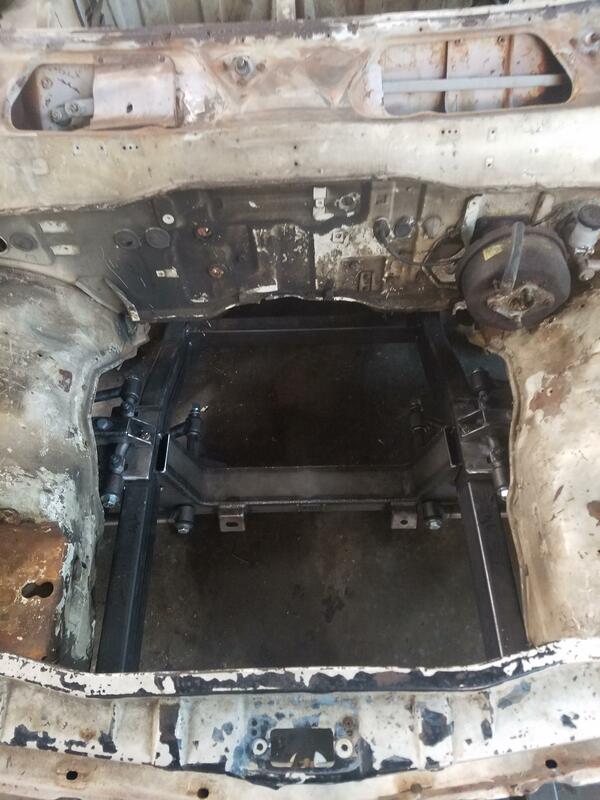 Next was to cut the floor pan out of the Camaro. Man was that a job! 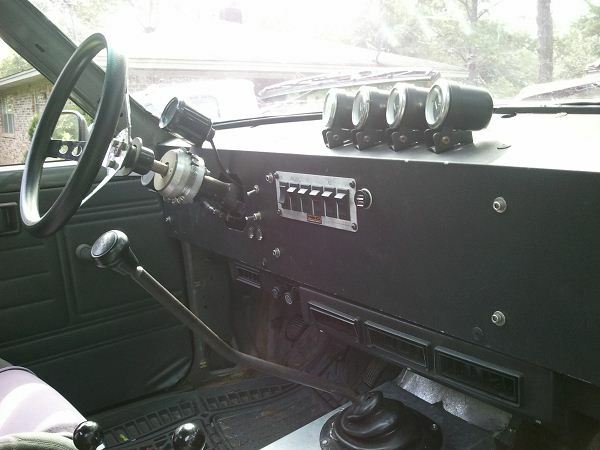 Once I got to this point my son called to inform me of the loss of 3rd and 4th gear in his truck. So the bulk remainder of my time at home went in to rebuilding a 4L60e. I did however take some time to play around with some grille ideas. If i can figure out a good design it'll gain me a little over 2" (Gold!). So what do you guys think about the grille? It's obvious I'm not a purist so I think it has potential. The end result would probably have around a 1/2" border in sheet metal around it to clean it up and conceal mounts. I really like the old style 620 grille. But having said that, I think the direction you're going in has really good potential. Don't get me wrong I'm a fan of the original myself. But the extra space could be the difference in A/C or no A/C. I'll have to play around with it until it looks clean. Camaro floor? That's a neat idea. It will have the right tunnel for a large auto trans. I like the wire grille. Do you have a bead roller? You can roll an edge on it, or down the middle horizontally, for some extra detail. It was already bought and paid for plus they come stock with the T56 manual transmission I'm using. I don't have access to one but I may be able to make one. You gotta do what you gotta do! Sometimes little compromises are worth the sacrifice. I think yours appears to be well worth it!